Looking to Grow Within the Industry? 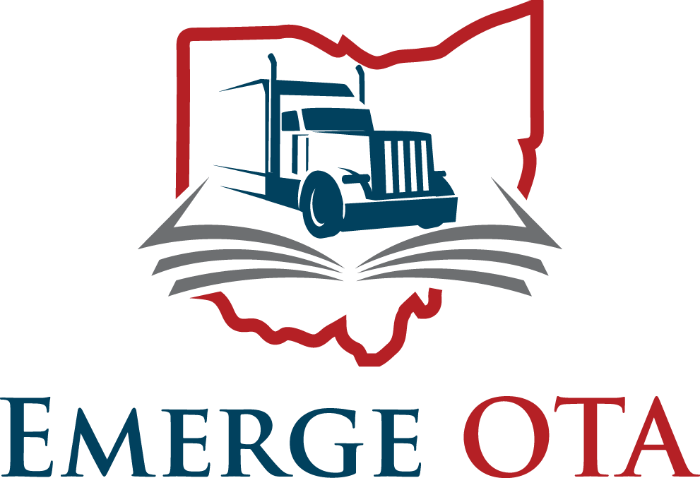 The Ohio Trucking Association Board of Directors and Staff are proud to establish the Emerge OTA program. The first program of its kind in the state of Ohio, the objective of the program is to help the next generation of transportation leaders become prepared to not only serve their companies, but also the industry and their association. Through this program, participants will be given the opportunity to learn, develop, and further enhance both the personal and professional attributes that will continue to give them the confidence to lead in the Ohio transportation sector. This program offers a variety of different sessions, which include: a focus on strategic planning; business leadership; public relations; communications; government affairs; grassroots advocacy; and trends in transportation and logistics. In addition, the association understands that as adult learners, hands-on experience and networking are of equal importance; there will be plenty of opportunities for this in the Emerge OTA leadership courses. Participants will leave Emerge OTA with more than added confidence and pride in their respective roles in the trucking industry. They will gain new contacts, new knowledge, and new friendships that will continue to enhance their ability to make an impact on their organizations and the state of Ohio's political and transportation agenda.